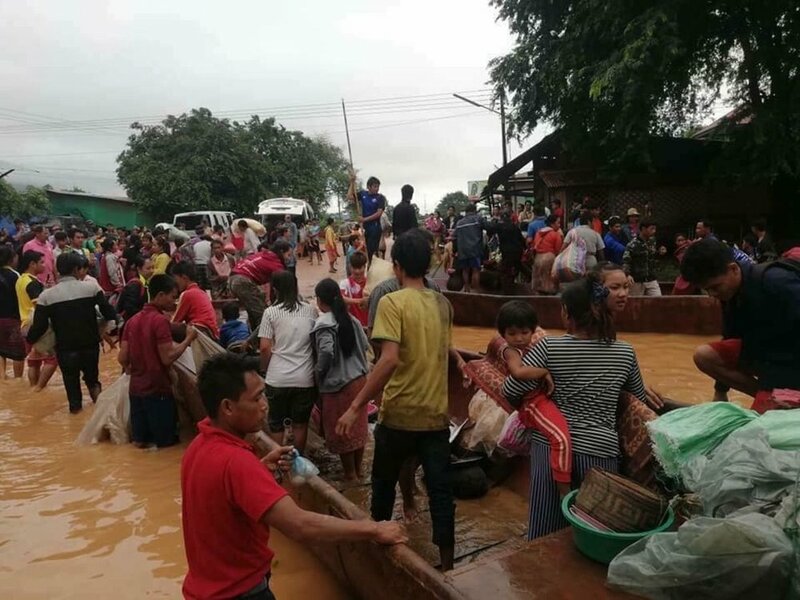 Responding to the heavy rain and flooding that caused the sudden hydropower dam collapse in Southeast Laos on Monday evening, Singapore Red Cross (SRC) has launched a public fundraising appeal, and will pledge S$50,000 in humanitarian aid to affected communities. The donations will fund the purchase and distribution of relief items, including first aid supplies, blankets and mats for survivors, as well as, other disaster relief and recovery efforts. Singapore Red Cross is working closely with Lao Red Cross Society (LRCS) to dispatch a three-person advance team on Thursday, 26 July. Comprising experienced Red Cross volunteers trained in disaster management, the team will deliver relief supplies to an estimated 1,000 families, and conduct ground assessments to determine urgent and mid-term needs. The consequences of the collapsed hydropower dam are dire. Reportedly releasing five billion cubic meters of water - the equivalent of more than two million Olympic-sized swimming pools - through six villages, the flash flooding accident has resulted in hundreds of people missing, an unknown number believed to be dead, and 6,600 people made homeless due to evacuations. Recently, many parts of Laos have been hit by floods from heavy seasonal rains. Over the next few days, continued rain and strong winds are predicted and could worsen the situation.